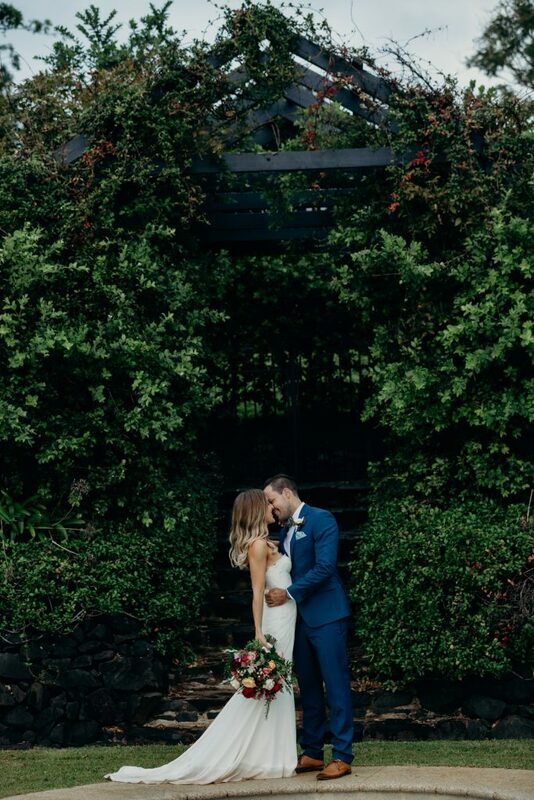 Kate and Luke chose gorgeous Spicers Clovelly to celebrate their wedding day and surrounded by the lush green landscape and under a gorgeous timber canopy these two beautiful humans said ‘I Do’ Autumn wedding flowers shone brightly through the floral styling of the day and Kate’s whimsical unstructured bouquet designs flowed perfectly with the manicured gardens and the lovely surrounds. 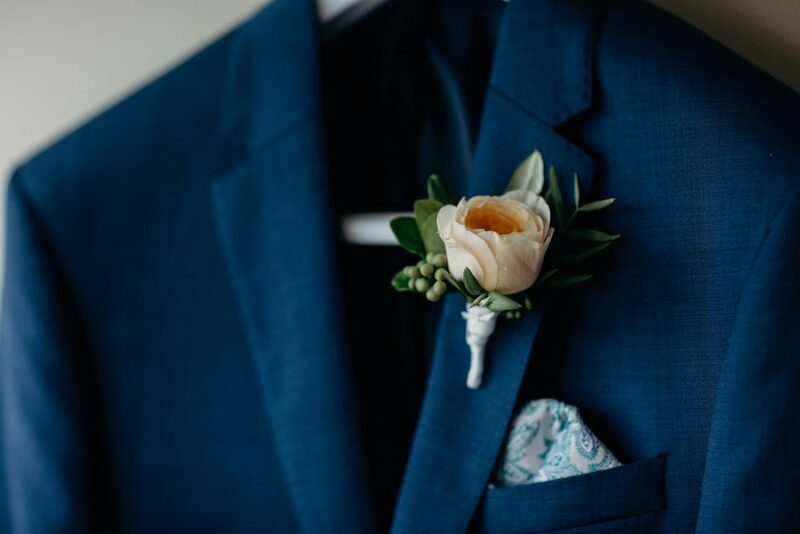 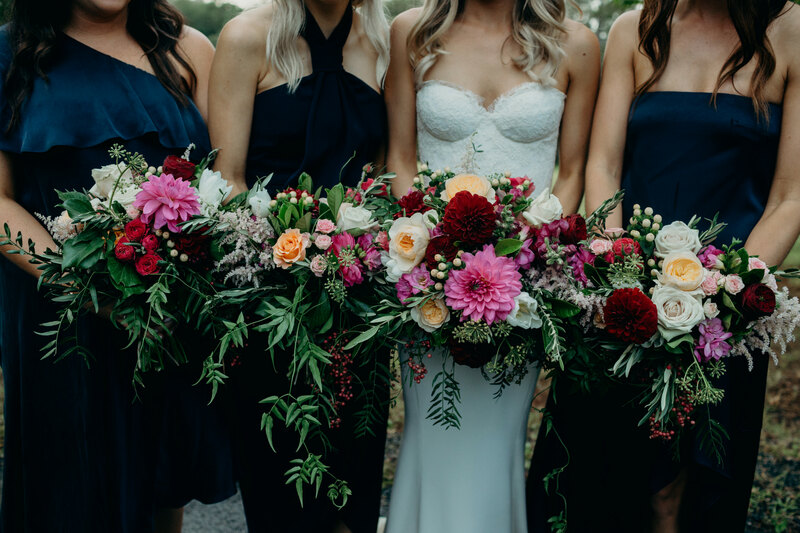 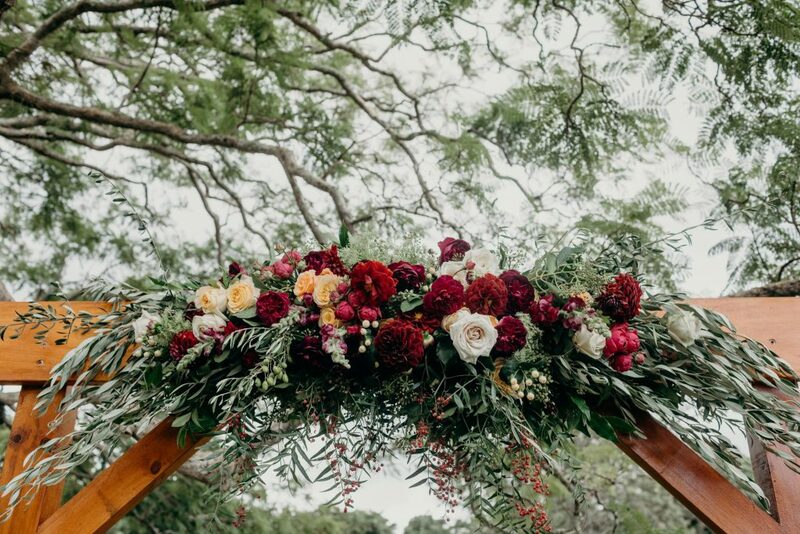 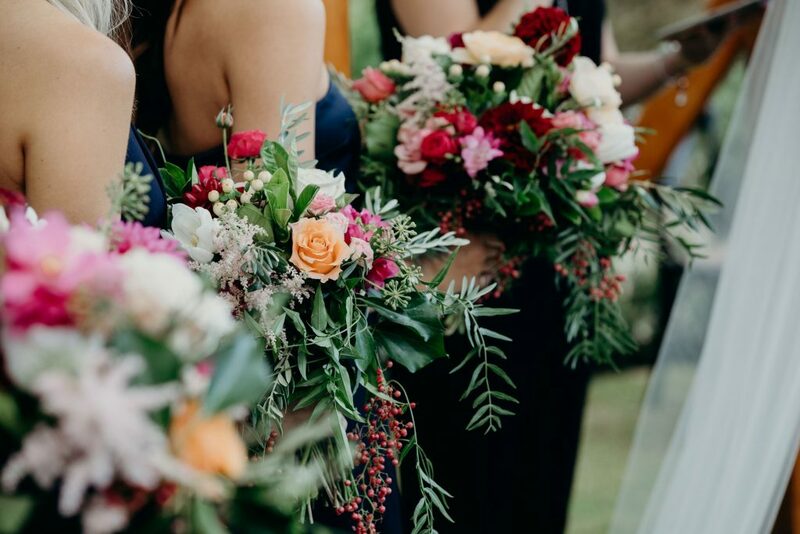 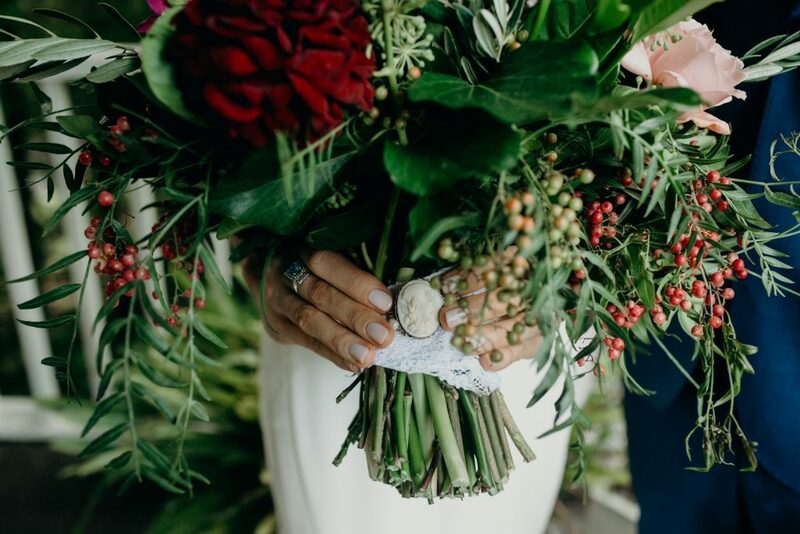 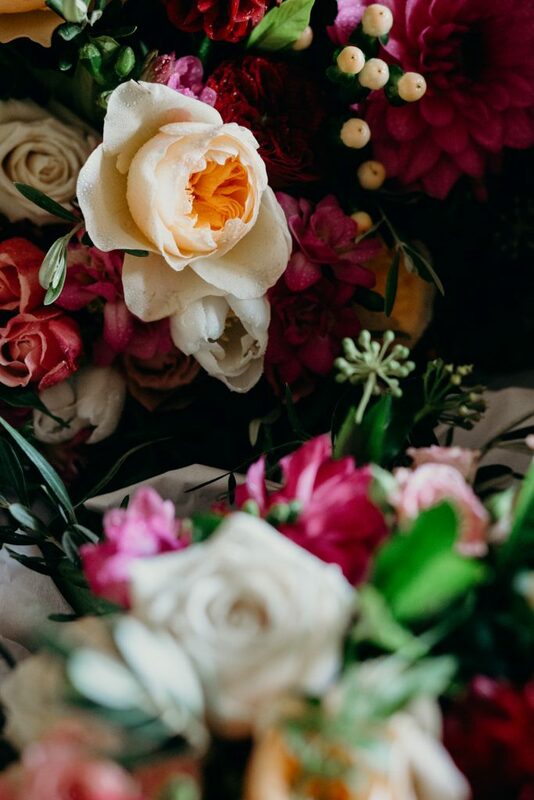 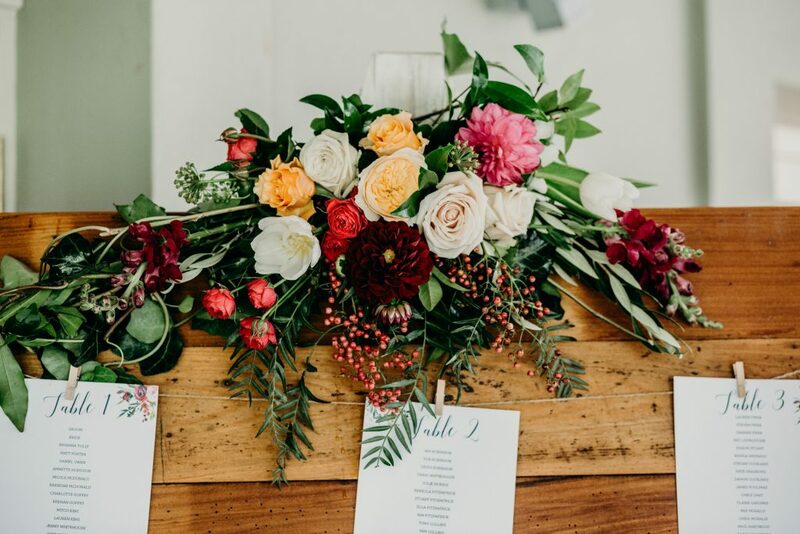 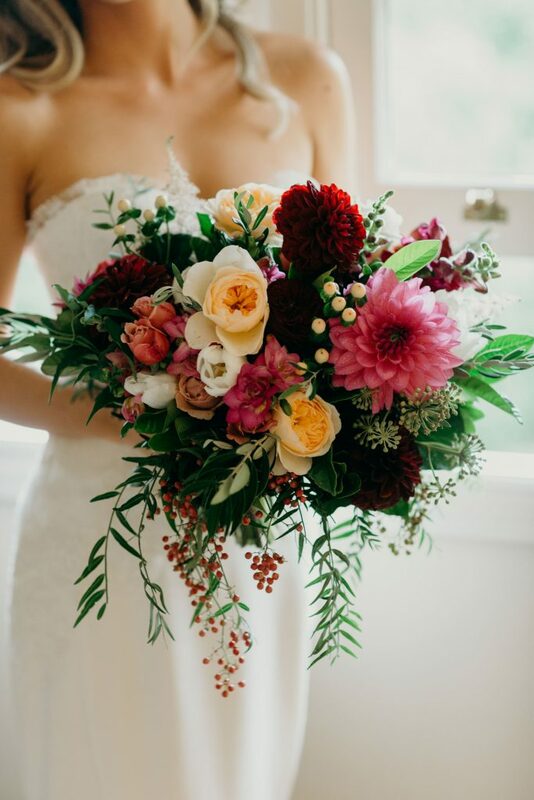 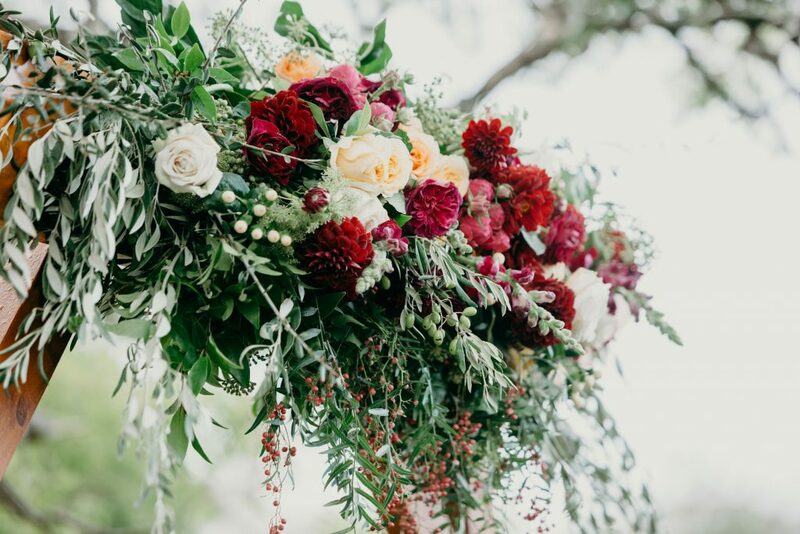 Cascading greenery, berries and pops of burgundy, crimson, pink and peach blooms were on show. 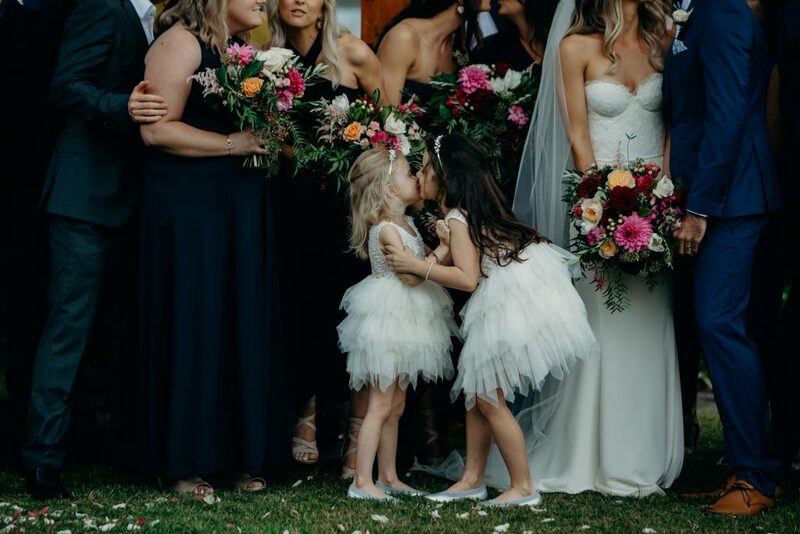 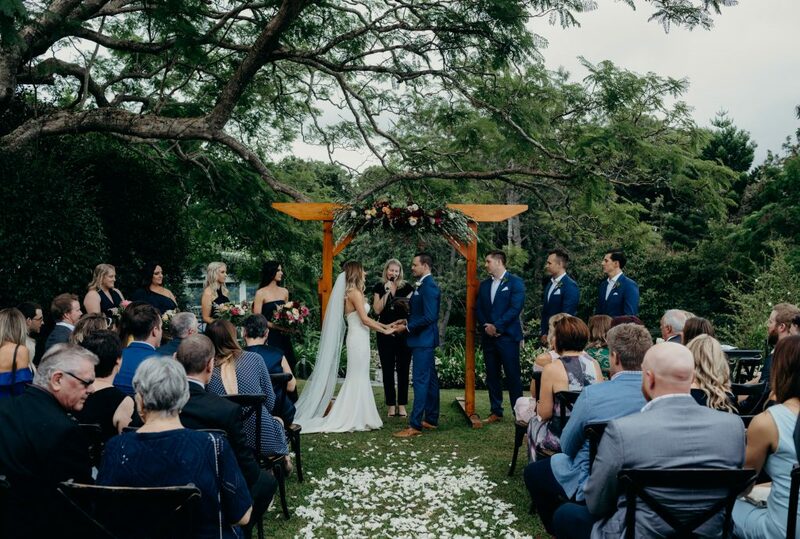 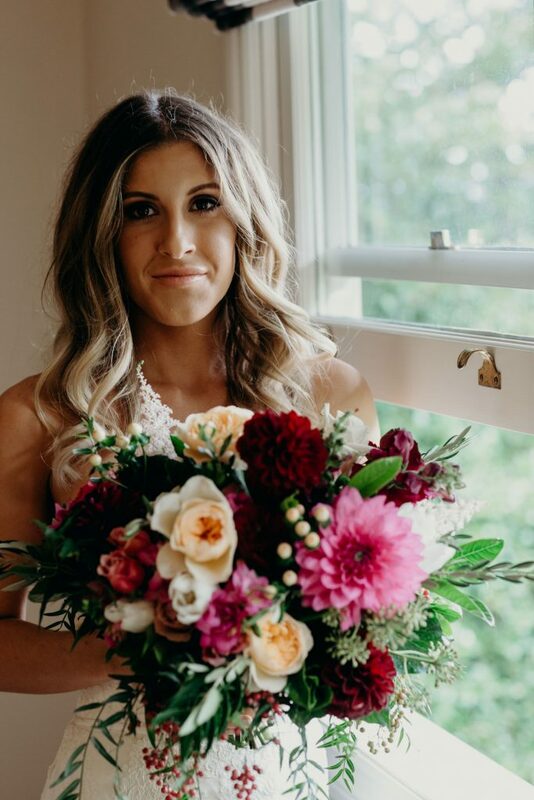 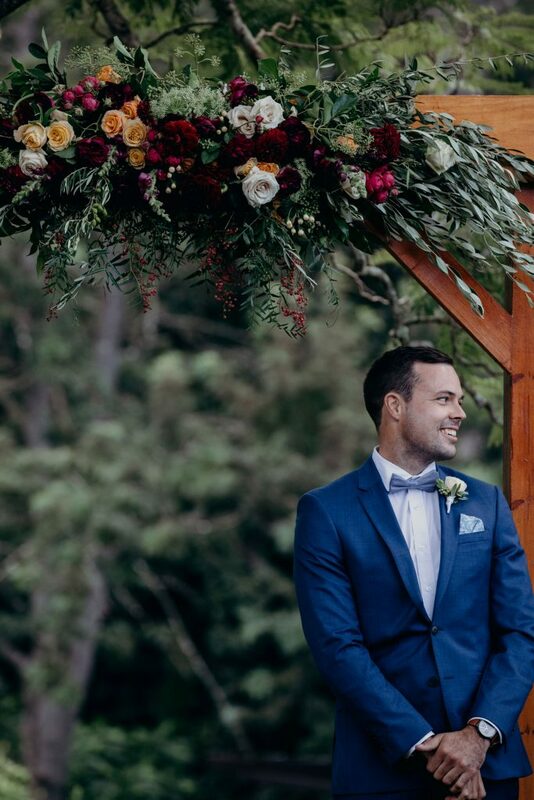 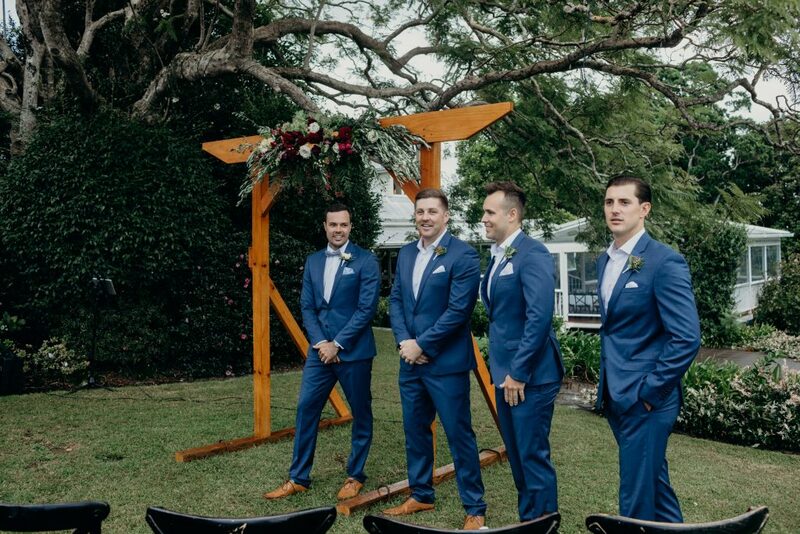 The cute textural accents and pretty petals collaborated beautifully with this floral love story starting at ceremony with a sweet canopy design to help accent the timber structure placed in the garden space, and continuing through to the lovely Library Dining Deck. 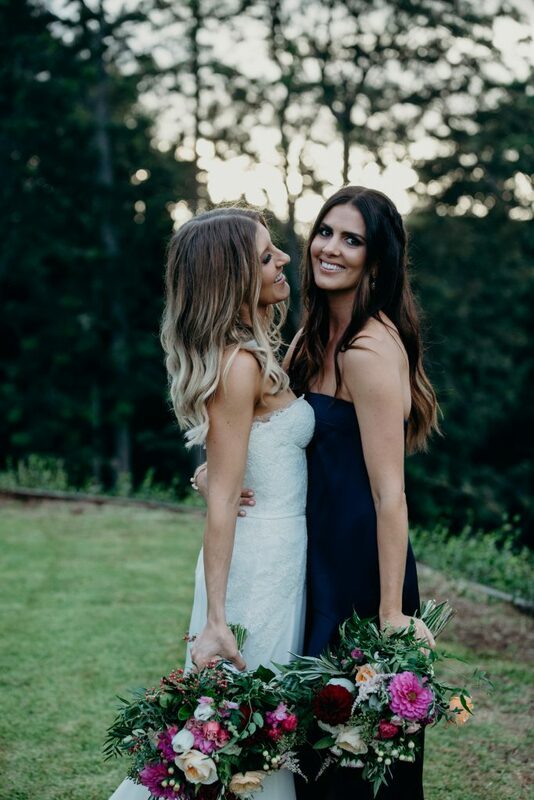 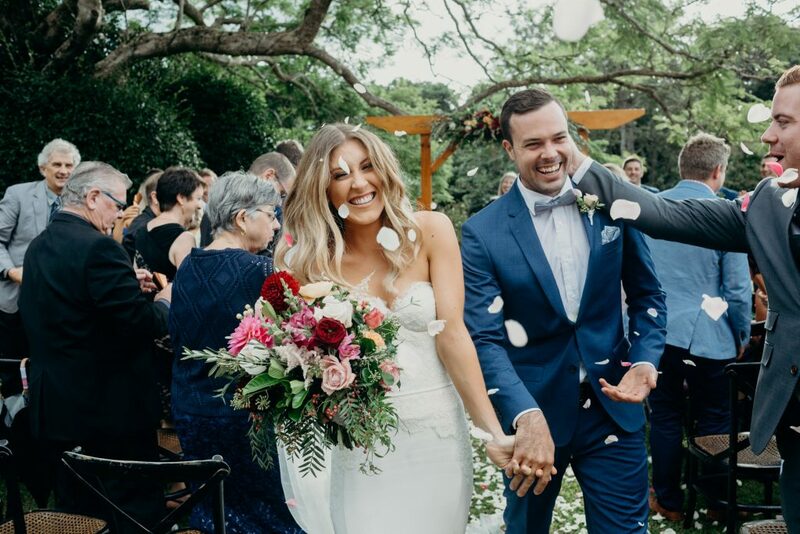 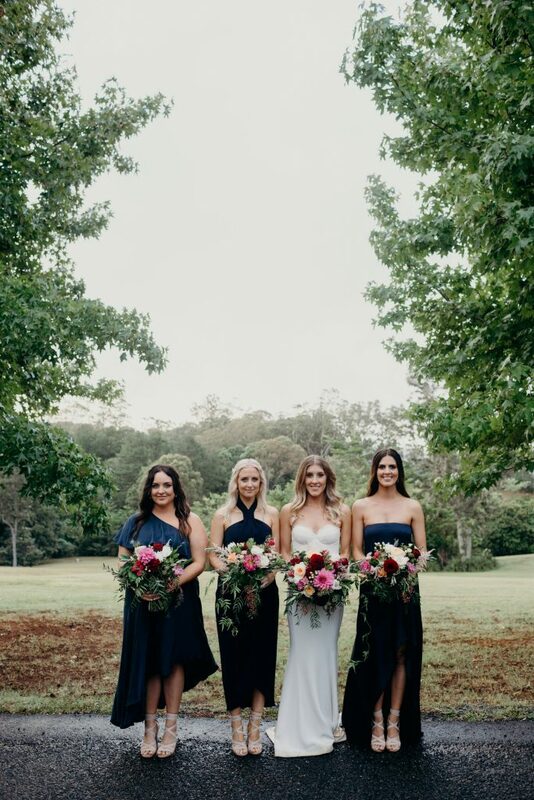 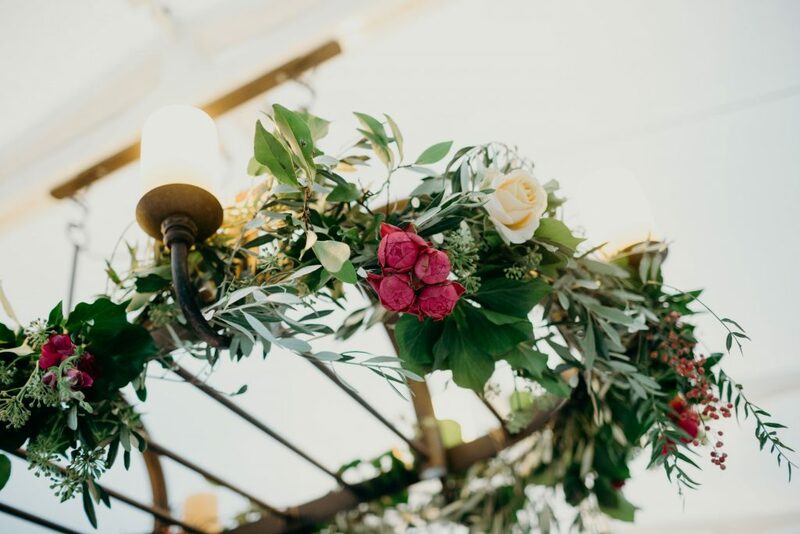 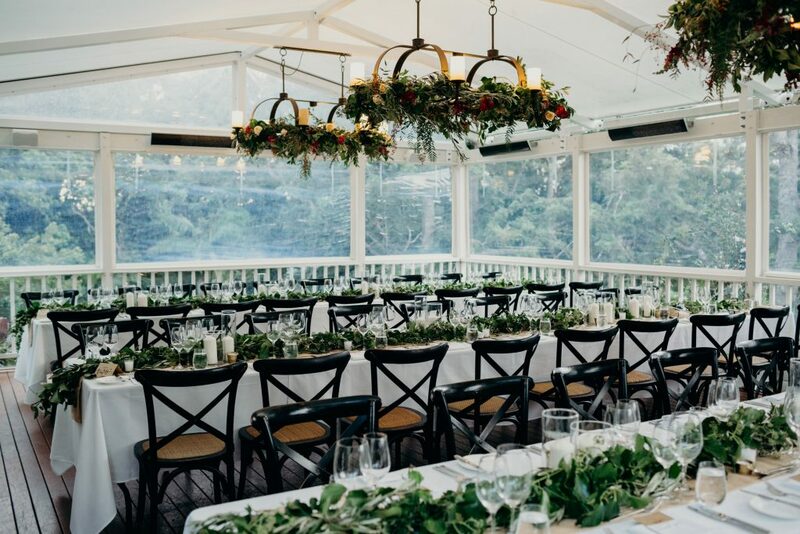 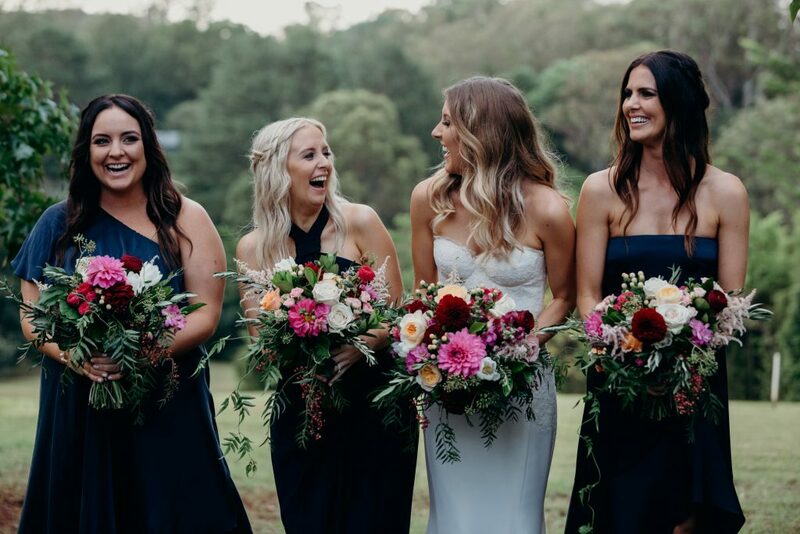 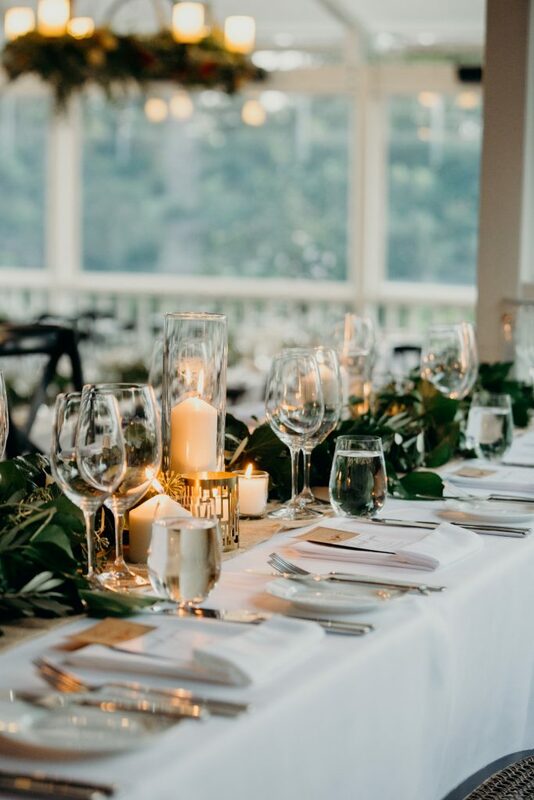 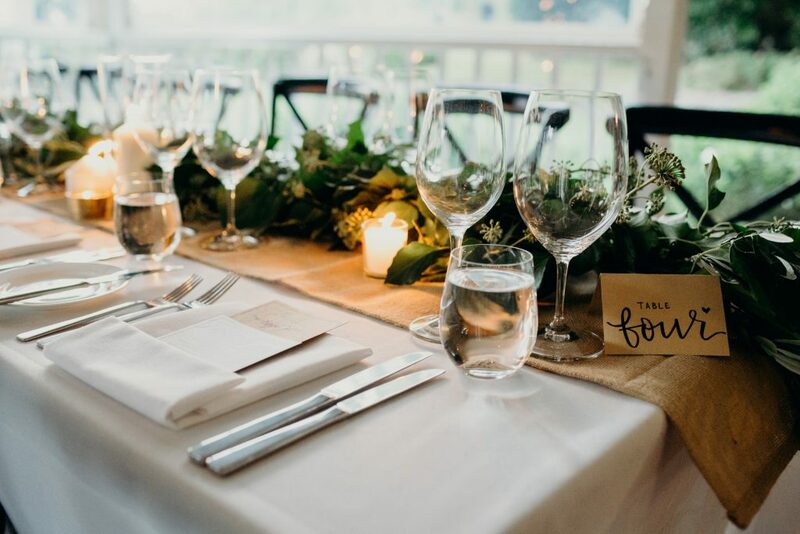 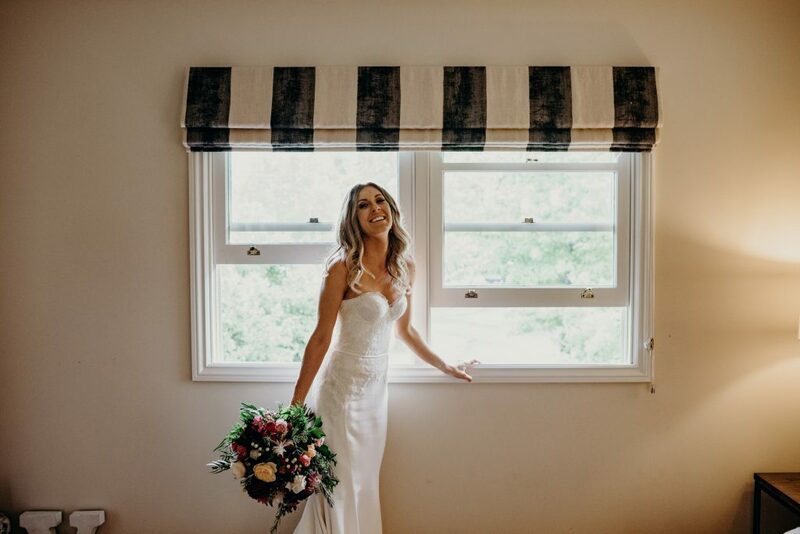 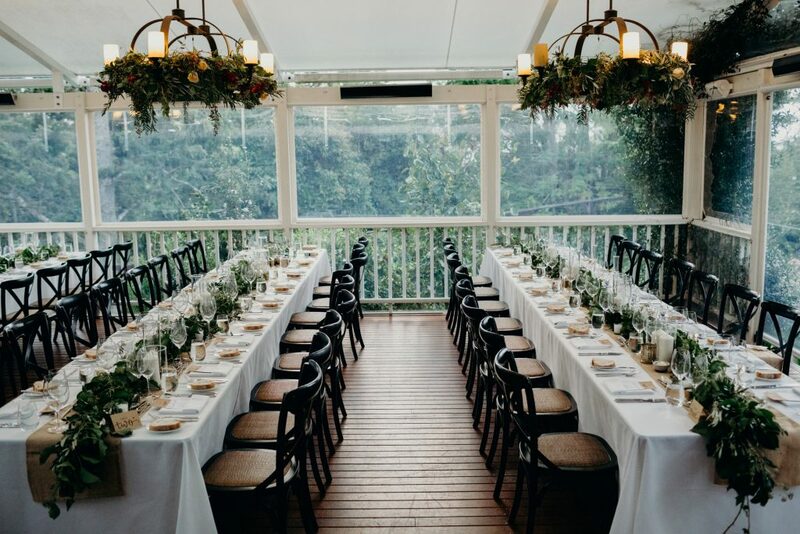 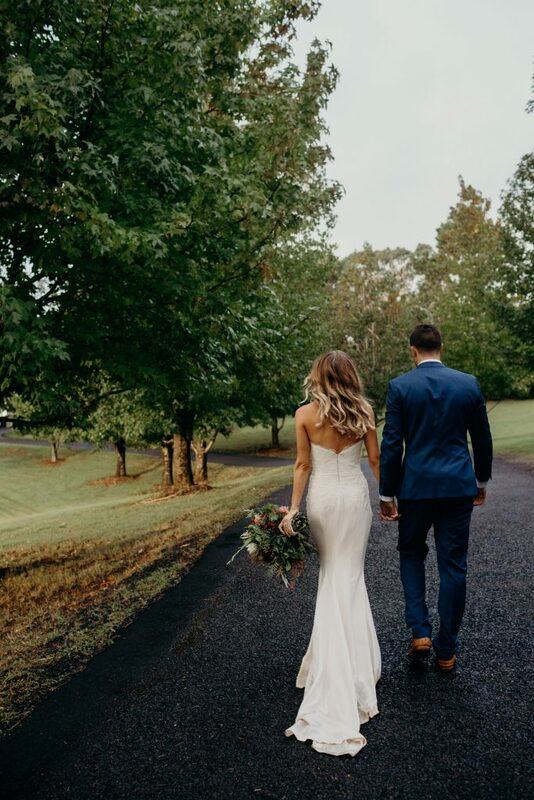 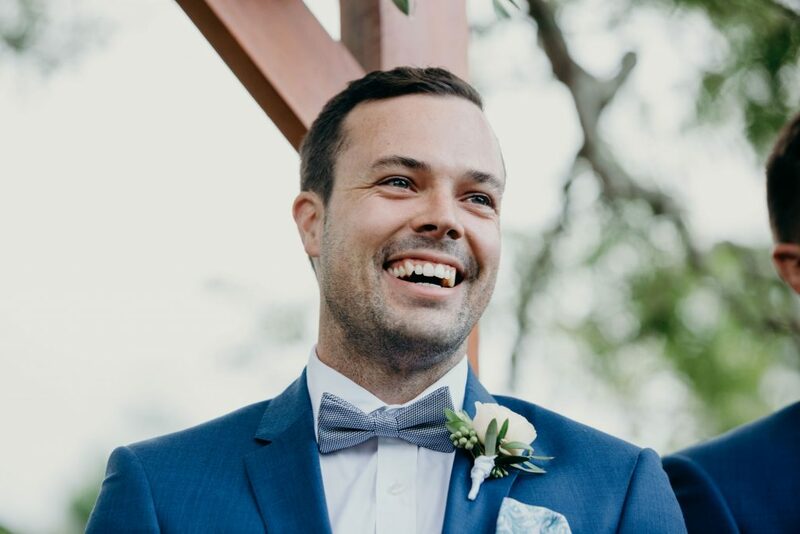 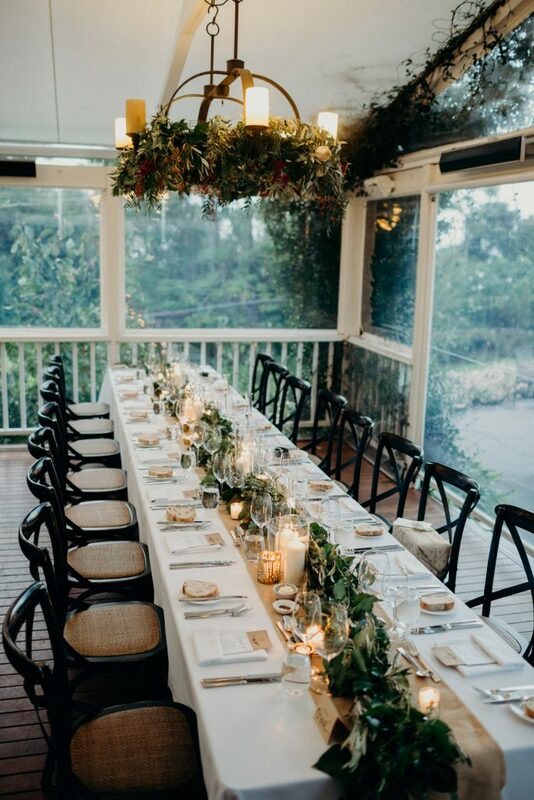 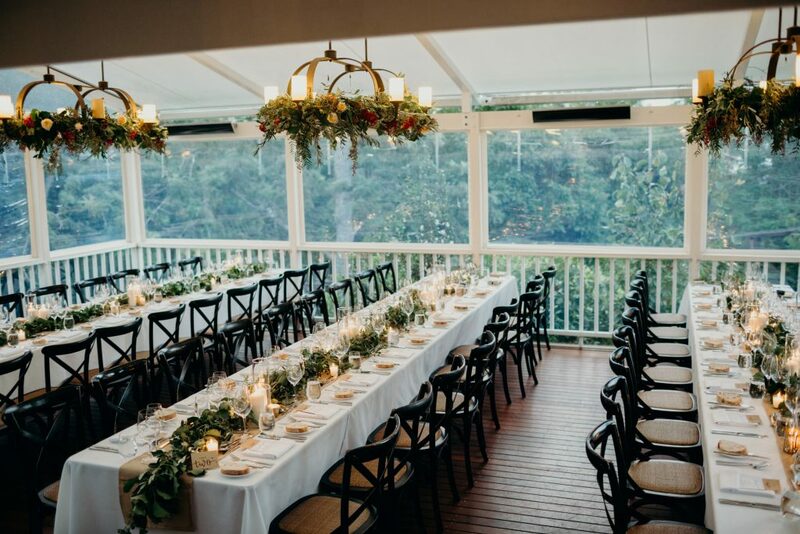 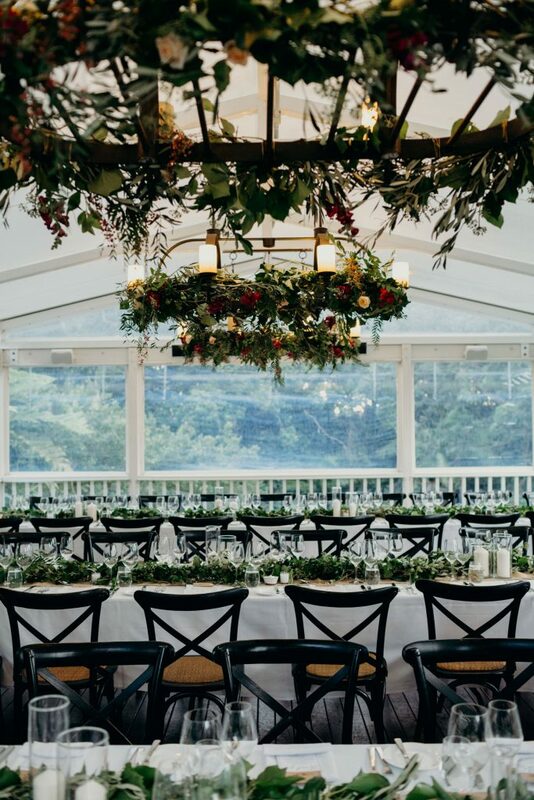 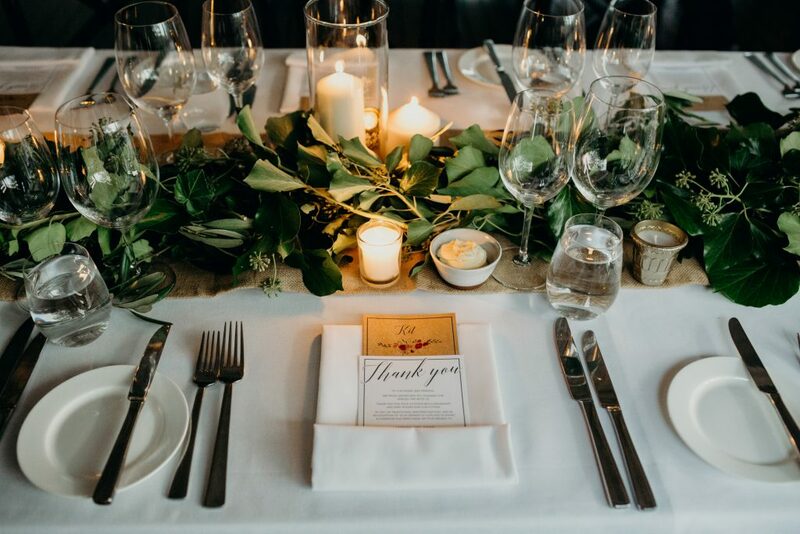 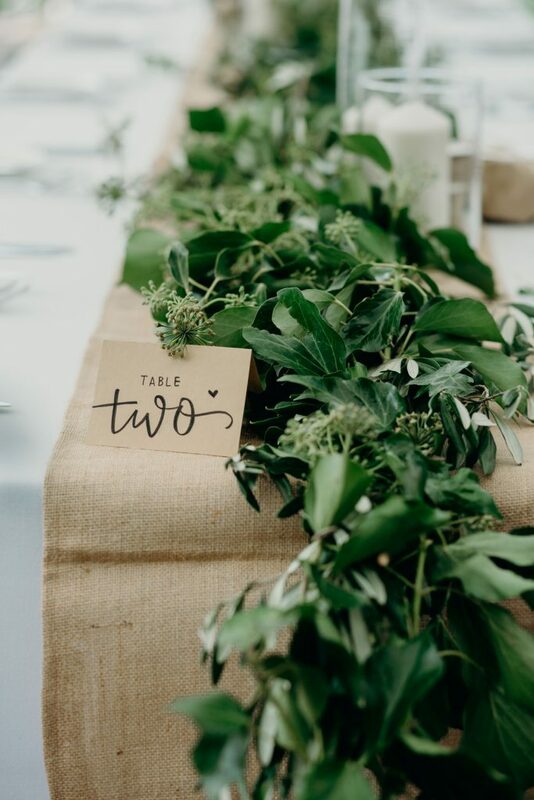 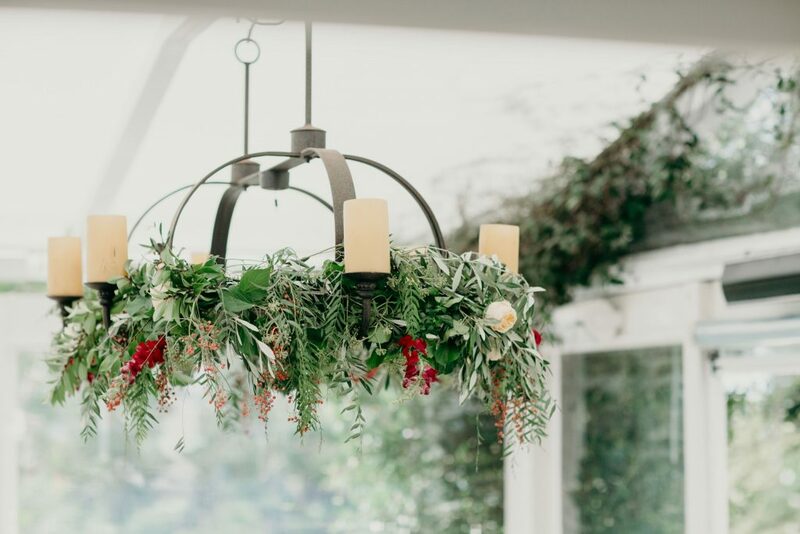 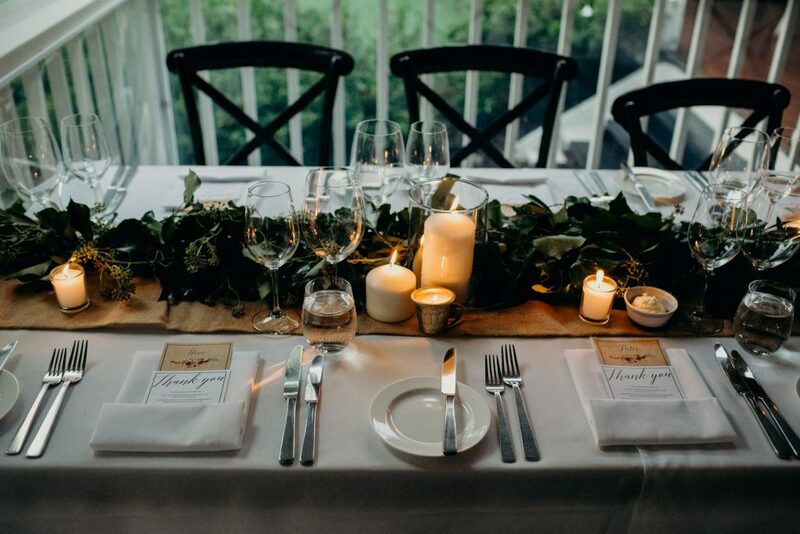 Kate and Luke chose greenery features to line the dining tables at Clovelly and we loved creating the stunning garlands of greenery featured on the library deck. 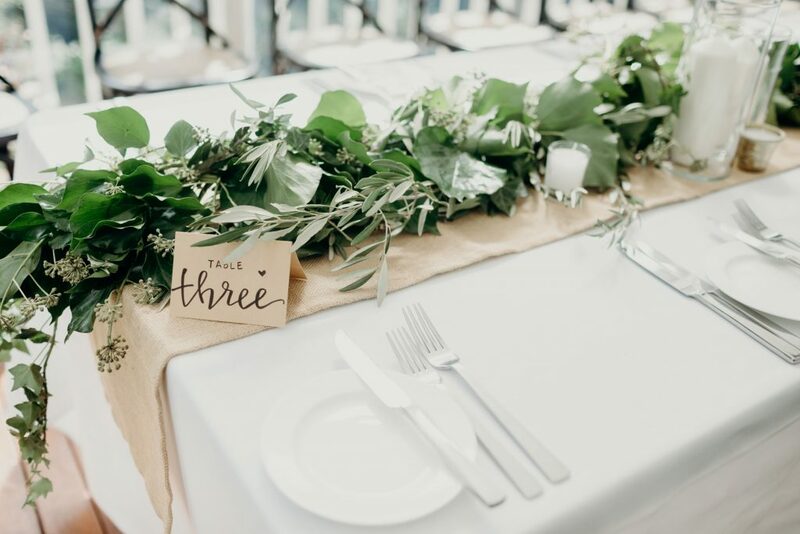 Rustic olive foliage in combination with dark lush green accents cascaded down the feasting tables, with the additional styling elements of candles and burlap runners also accessorising the reception tables. 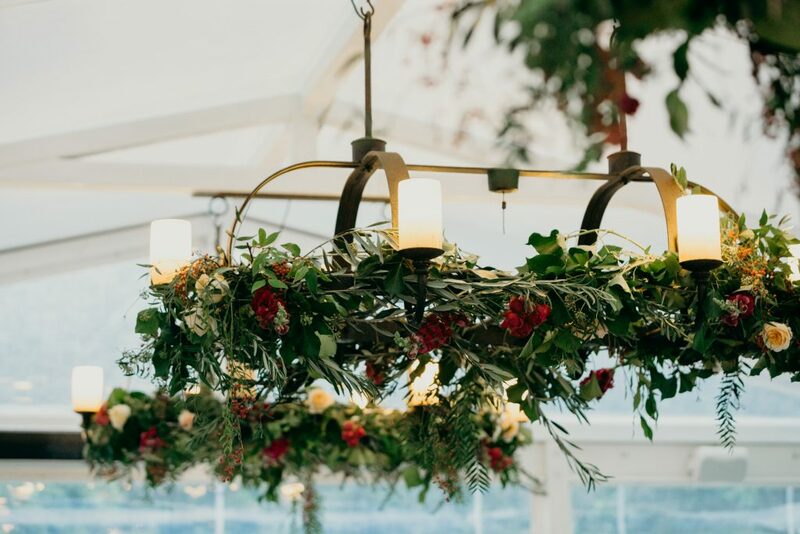 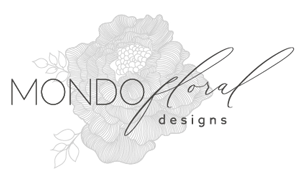 Overhead we dressed the chandeliers with foliages and pops of beautiful blooms with the colours of the bridal bouquet concept accented from high above it was the perfect finish to the sweet space. 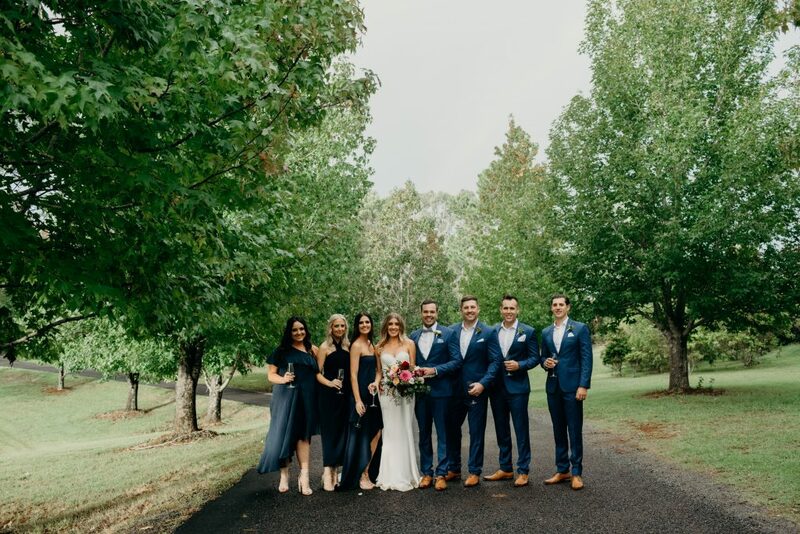 Thank you Kate and Luke for having us on board , you were a dream to work with and it was such a spectacular day!